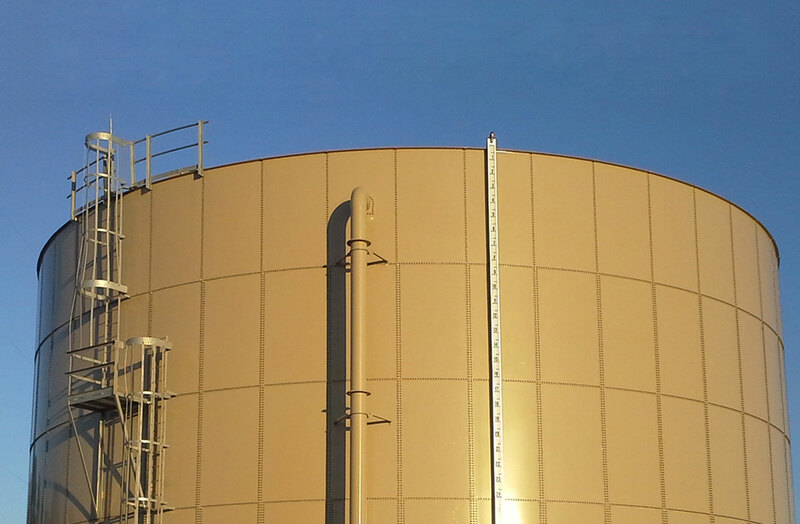 Update to NFPA Standards for Water Storage - Superior Tank Co., Inc. The newest NFPA 22 edition also allows for electric immersion heating within the storage tank. In the past it was necessary to house the heating system in a separate building or vault and pump hot water or steam through coils to heat the tank. The new edition of the standard allows a new heating method that eliminates the cost of buildings or vaults, pumps, pipes and heating coils associated with other heating methods. The requirement to include a polyethylene sheet under the tank bottom for leak detection has been removed allowing the bolted tank bottom to be placed directly on the fill material below. When Superior Tank installs a bolted steel tank, the bottom is vacuum tested to ensure leak-free operation. Another cost reducing revision to the bolted tank foundation is the change from the foundation being embedded 2’-6” below grade or frost line to a much shallower requirement of 1’-0”. This reduces the amount of concrete and rebar needed to support and anchor the storage tank. The prerequisite for a larger diameter discharge pipe with higher capacity storage tanks has been replaced with a 6” min. requirement as long as the pipe can support the expected flow rate. NFPA eliminated the mandated minimum thickness for the bottom ring. Previously, the bottom ring of the bolted tank needed to be at least 3/16” thick or a reduced tension on the net section allowable was required. The reduced allowable tension on the net section stress resulted in greater shell thickness requirements compared to the standard AWWA D103 design requirement. 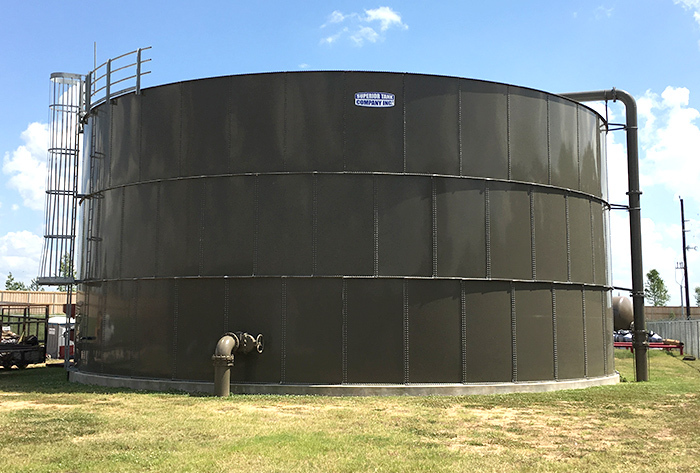 When all of these factors are taken into account, a bolted steel tank for fire protection under the new NFPA standard has reduced costs compared to previous versions. Previous Fire Season is coming soon!